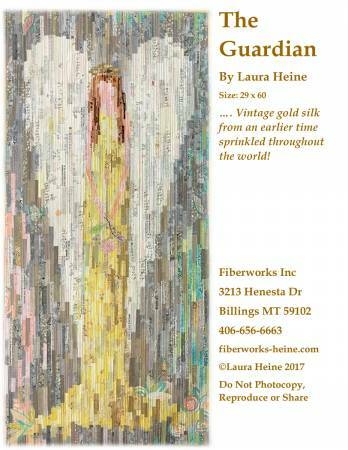 The Guardian, angel collage pattern by Laura Heine features full sized pattern and complete step by step color photos and instruction on how to construct this painterly collage. Size 29in x 60in. Pattern also includes a bonus mini angel pattern.